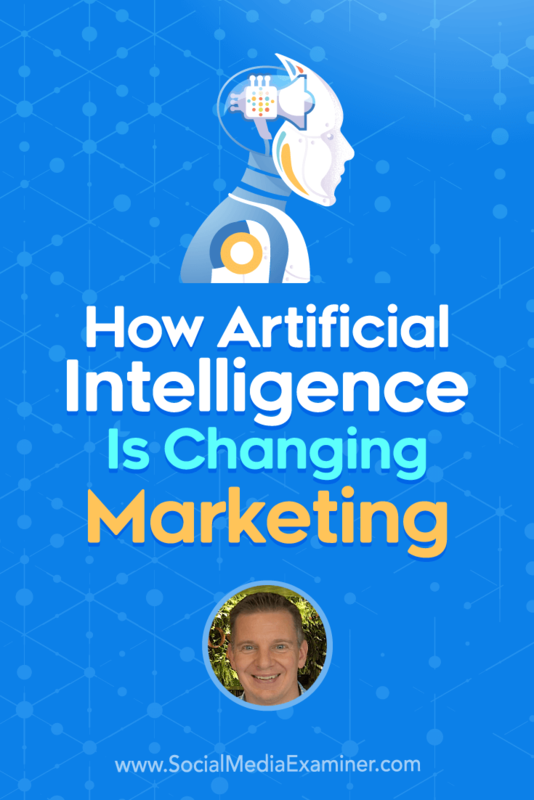 To explore how artificial intelligence will impact social media marketing, I interview Mike Rhodes. In this episode, I interview Mike Rhodes, an expert in helping businesses with customer acquisition. He’s the co-author of The Ultimate Guide to Google AdWords and CEO of WebSavvy. He offers courses on Google Display Network, AdWords, Google Data Studio, and more. Mike explains why marketers need to understand artificial intelligence and shares examples that illustrate its impact. You’ll also discover how artificial intelligence can automate bidding, targeting, and messaging for your ads. 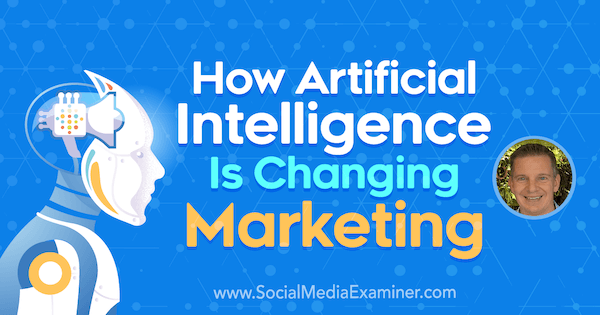 How Artificial Intelligence Is Changing Marketing featuring insights from Mike Rhodes on the Social Media Marketing Podcast. Early in his career, Mike learned that he loves helping business owners see what’s around the corner. In the 1990s, Mark worked for a helicopter firm in Hawaii. In exchange for flying lessons, he helped the firm computerize. (His boss flew the helicopter in Magnum P.I.) In 2004, Mike learned how Google AdWords (now Google Ads) helped small businesses and did campaigns as favors. A few years later, Mike started his agency. His focus on future tools and techniques put him in the right place at the right time. This focus also led to Mike’s interest in artificial intelligence (AI). About 3 years ago, he realized businesses will need to move from reading and listening to more sophisticated ways of interacting with customers, and learned all he could about the topic. In learning about AI, Mike wasn’t focused on how to build AI-enabled technologies. He was interested in knowing how to use AI so he could figure out how it’s relevant to business owners. Specifically, he spots the business problems and helps businesses identify which of those problems require AI. He also knows which off-the-shelf tools use some AI and which don’t. Listen to the show to hear Mike share a story about flying a helicopter into a Kauai canyon. To explain why AI is important, Mike shares a comparison from Andrew Ng, an AI and machine learning expert. Andrew says AI is the new electricity. Just as electricity started being used to power everything 100 years ago, AI is being added to everything now. The advent of electricity changed everything, including transport, factories, and more. Similarly, AI will change the knowledge economy. For marketers, the coming changes are important because your business will benefit from being aware of AI-based tools and techniques before your competitors are. If you work on the agency side, you want to help your clients lead with AI. Although marketers don’t need to understand AI in great detail, they do need to know enough about AI to spot opportunities. The Hollywood version of AI features robots with guns turning us into paperclips. The reality is more mundane and incremental. We’re a long way off from AI that can run Google campaigns or send your kids to school and cook dinner. However, artificial narrow intelligence (also shortened to narrow intelligence or ANI) is likely to start replacing an increasing number of human tasks. You can think of ANI as incredibly smart software. Mark thinks, in a very optimistic version of the future, smart machines will enable us to do things that we can’t do today or will do tasks we can do much, much better. In other words, ANI will enable us to hand over menial tasks so we have more time for creative, strategic, or compassionate work. Listen to the show to hear Mark and me discuss hype versus reality of other future technologies. Mike defines AI as the science of making things smart. It includes robotics, natural language, vision, and much more. Machine learning refers to computers that can learn without being explicitly taught. Machine learning is an area of AI that’s taking off right now, especially a subcategory called deep learning. To illustrate, how would a computer learn what a chair is? With traditional programming, you’d use conditional statements such as “If the thing has four legs, a seat, and back, then it’s a chair.” The code would need to account for chairs with and without arms, wheeled chairs, and so on. The resulting program would require lots of code, and if one line had an error, the code wouldn’t work. Machine learning offers a new way to teach a computer what a chair is. Essentially, you give the machine thousands of examples of chairs and non-chairs (like tables, dogs, and trees) so the computer understands what a chair is and isn’t. Over time, the machine learns to infer whether something is a chair. Over the past 5 or 10 years, this technology has become quite accurate. Today, you see this technology used to help people shop. 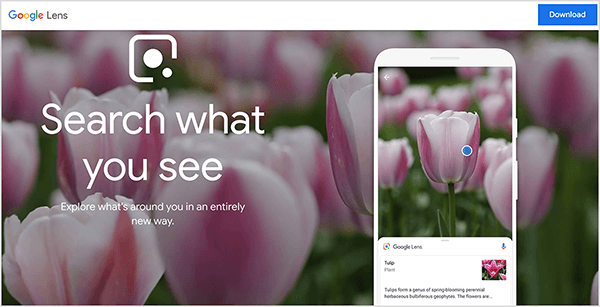 When you hold up a product to a camera, the Pinterest or Amazon apps or Google Lens (via the Google Photos app on iOS) can recognize the product and try to find it for you. You can point a Google Lens camera at your friend wearing a dress, and it will find a bunch of similar dresses and tell you where you can buy them. In addition to recognizing items, AI can make predictions. Amazon uses predictive AI to tell you things like, “People who bought this book also bought this book.” Similarly, Netflix suggests TV shows or movies that might interest you. Netflix even changes cover thumbnails using predictive AI. Based on your viewing habits, it predicts which thumbnail will appeal to you the most. The machine learning in self-driving cars is also solving prediction problems. “Which lane am I in? Which lane should I be in? What’s that car about to do? What will that pedestrian do?” It predicts how other things around you will move, and thus which direction to drive and whether to accelerate or brake. Although this explanation is a massive oversimplification, it’s essentially what’s happening. Another example is Siri for the iPhone. As more things include machine learning, Siri is increasingly capable of living up to its promise of being a personal assistant. Today, it can remind you to make a call. In the future, it might suggest you leave early because of traffic or sense that one meeting is running long and offer to let the next three people on your calendar for today know you’ll be late. A great example is the demo of Google Duplex at Google IO 2018. In this video, Google Assistant (which is on more phones than Siri and thus has more data to learn from) books a haircut appointment and makes a restaurant reservation. Many people thought these demos were fake because the Duplex technology was amazingly good at handling a conversation that didn’t go the usual way. After people began questioning whether the technology was real, Google rented a Thai restaurant in New York and invited journalists to spend the afternoon testing the technology for themselves within the scope of a restaurant reservation. The journalists were divided into groups that tried to throw off the AI, but the AI was able to handle their questions flawlessly. How people adopt AI depends on whether they feel creeped out by computers doing human-like things or appreciate the convenience it offers. Some people believe AI would be looking over their shoulder. Others think it would be amazing to have a tool that can instantly recall someone’s name and their birthday, and then send them the right gift. Listen to the show to hear how I discovered AI in the recent iOS update. Algorithms like Facebook’s are a form of AI that predicts which articles or ads certain users are likely to click (although the algorithm involves much more than that). For more than 3 years, Mark has been running experiments against Facebook’s AI. Based on these experiments, he believes we’re at the tipping point where most of the time, the machine is as good as a human. The algorithm does mess up sometimes, and when that happens, it tends to make huge mistakes. However, most of the time, it’s as good as—and sometimes it’s much better than—even the best human. For marketers, the capabilities of AI have the potential to threaten the existence of their jobs or agencies. Marketers who still spend the majority of the day reporting and changing bids are especially vulnerable. These marketers are likely to either go out of business or have to work extra hard to change the way they do day-to-day tasks. All ad platforms are incentivized to improve their AI. When they help marketers achieve their objectives, they’ll continue to use the platform. Also, AI that makes the ad platforms easier to use will bring in more business. Today, a huge chasm exists between businesses that find online and social ad platforms too confusing and complicated, and businesses that can hire an agency or employee to handle it. The more these platforms empower everyday businesses to use AI to get more customers, the more business the ad platforms generate. Mike says Google has always been focused on the user, the advertiser, and the stakeholders, and how these three intersect. 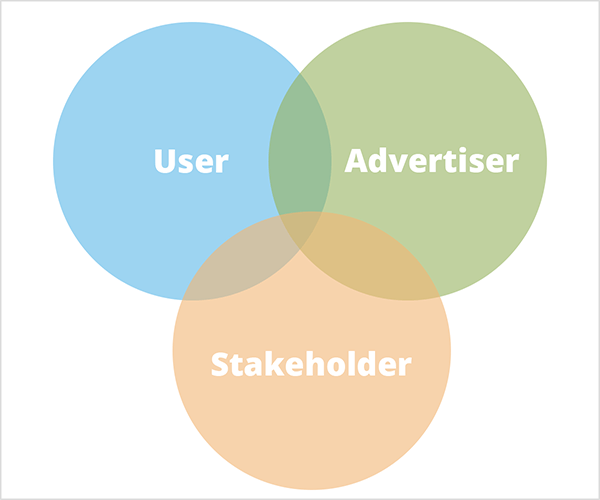 For Google, the user is the biggest and most important of the three. Although Google must balance the needs of advertisers and stakeholders, Mike believes providing the best user experience helps do that because it encourages users to come back to the platform. For instance, in the late 1990s, people left search engines like Alta Vista and Ask Jeeves for Google because it served better results. Today, Google is trying to make its platform better for advertisers. If only about 10% of the businesses that should be using a tool like Google Ads are actually using it, the platform has enormous room for growth. Among small businesses, Mike thinks Google Ads can add customers who have thus far found the advertising platform too intimidating to use. Among large businesses, Google could take brand dollars away from traditional media and educate these bigger businesses about the cost-saving benefits of using Google Ads instead of big holding agencies. Listen to the show to hear my thoughts on the intelligence of Facebook’s algorithm. Google and Facebook have big AI initiatives and tools marketers already use that provide unbelievable amounts of information. To visualize this, Google collects data on users via Google Analytics, Android (which is on 80% of smartphones worldwide), YouTube, and Chrome (the most used browser). Google developed or purchased these services to acquire all of this data. In addition to Google and Facebook, Amazon, Microsoft, and IBM are all doing amazing things with AI as well. Because Mike focuses on Google Ads, our conversation about how AI can help marketers focuses on that platform. However, I want to emphasize that AI is coming quickly to many platforms. To explain how AI can help marketers with Google Ads right now, Mike first outlines a framework based on a pyramid with three layers. 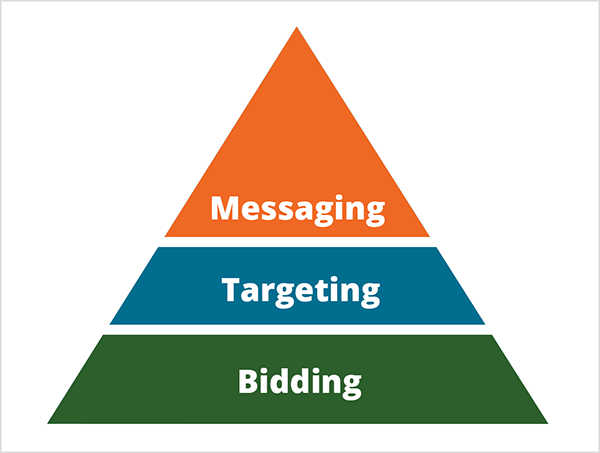 The bottom layer is bidding, the middle layer is targeting, and the top layer is messaging. Together, these layers help marketers with advertising that shows the right message to the right person at the right time and does so profitably. Mike uses a pyramid because bidding is a good place to start testing Google’s AI. Bidding is the easiest task for AI to take over and a time-consuming task for marketers. With the AI handling bidding, you can move up the pyramid, stay ahead of the robot, and focus on the tasks at the top, such as creative and strategic thinking and working with clients on bigger business problems. Bidding: To illustrate how well Google’s AI can learn, Mike starts by sharing a story about Google’s AlphaGo, which beat the world champion at the game of Go. Then Google built AlphaGo Zero, which beat the first machine. Starting from scratch without seeing any other game that was ever played, AlphaGo Zero taught itself. The AI in AlphaGo Zero is able to ingest a ton of numbers and make predictions with incredible accuracy. It can also learn quickly. In 3 days, it was as good as a human being. After 40 days, AlphaGo Zero beat AlphaGo, which was supposedly never going to lose a game. In a similar way, bidding on Google and Facebook ads is a numbers game. You might need to determine how much to bid for a keyword or how much to offer Google if someone clicks your ad. Computers have become excellent at making bids. Today, they’re as good as humans, and in the near future, they’ll become much better. Google has seven models for bidding, and Mike encourages everyone to test one of the Smart Bidding strategies, which use Google’s AI. For instance, if your business generates leads, try Target Cost Per Acquisition, which bids on your cost per lead. If you’re an eCommerce business, try the Target Return on Ad Spend strategy. With Smart Bidding, you give Google a target, and it’s becoming very good at hitting it. To visualize this, if you’re willing to pay $50 per lead, Smart Bidding will find leads for $50. Although it won’t find leads for much less than you ask (say $10 per lead), it also won’t find leads for $100. Compared to the capabilities of Smart Bidding, marketers’ old approach to bidding looks ridiculously slow and antiquated. For at least 10 years, marketers have analyzed bidding by looking at about six signals, bit by bit, daily or weekly. To illustrate, if females age 35-44 who live in New York responded better, they increased the bid for that little group to increase the conversion rate. However, in the time you take to type a search term into Google and press Enter, Google can consider 70 million data points. It knows what apps are on your phone, the other searches you’ve done, and what you watch on YouTube. It knows where you are and what the weather is like there. It knows if you’re at home or work or on vacation. Humans can’t compete with that. With Smart Bidding, you can test whether you can let go of all the work marketers have traditionally put into bidding. Simply tell the Smart Bidding AI the most you’re willing to spend and then let it do the hard work for you. Smart Bidding will do all of the testing and analysis to get your ad to the right people at the right price. 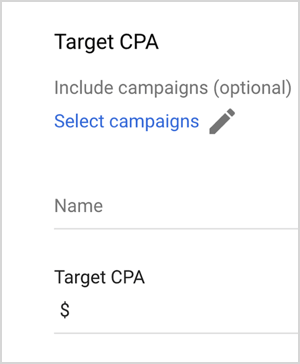 When you test Smart Bidding, you can use the Google drafts and experiments feature to see how it works for you. Essentially, you can set up a split test that compares your method of bidding to the machine’s. When you run these tests, Mike emphasizes that you need to give the machine a little bit of time. How much time depends on the size of your campaign, but generally, allow 2-4 weeks. Targeting: Typically, targeting requires a person to analyze demographics and content, and decide where an ad should appear. For example, marketers tell Google to show an ad when someone searches for a specific keyword. For a YouTube ad, a marketer might ask YouTube to place the ad next to content that’s similar to Oprah.com. The old way of targeting ads via TV, radio, and magazines focused on demographics. Because media outlets had no idea who was buying, they defined their audience with big demographic categories, like female, California, age 35-44. However, the age of someone buying a washing machine doesn’t matter. What matters is intent: Who’s looking for the type of washing machine you sell? With AI, you can target customers based on intent. All of the data Google has helps its AI predict what someone will do next. For instance, how does the AI determine what they’re in the market for right now? Based on all of the data Google collects, it might know someone is a baseball fan and a parent who tends to visit baby sites so they have a child younger than 3 years old. The AI can then combine knowledge of a person’s longer-term interests with their more immediate ones. Say that parent who loves baseball starts searching for how to fix washing machines or how to buy a new washing machine for less than $1,500 with free delivery. The AI then knows that person is in the market for a new washing machine. Because the AI has all of this data, you don’t need to tell Google how to target your ad based on demographics and factors like that. To reach people who want to buy a washing machine because you sell them, you give Google’s AI an ad and say how much you want to spend for each sale or lead. From there, the AI knows whom you want to reach and how to show your ad to the right person. However, Mike emphasizes that keywords aren’t a thing of the past. You can still use keyword targeting, but it’s becoming harder to get right and isn’t the most important signal. 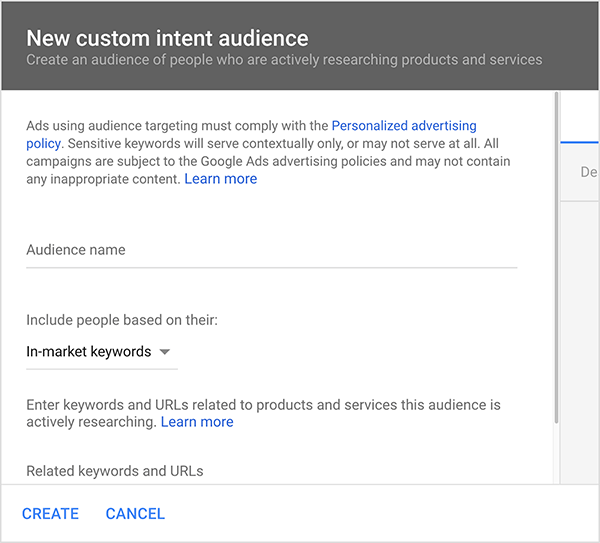 For display ads, Google has In-Market Audiences, which offers about 500 categories. To reach people who want to buy a washing machine, you can tell the tool to find everyone in the market for a washing machine right now. You can also add other targeting, like people in California. However, specifying an age demographic is unnecessary because the feature analyzes people’s intent. You can access In-Market Audiences in two ways. If you’re running ads the old way, then you can layer the AI audience targeting over your traditional targeting. Then you can compare how the two types of targeting behave. If the AI behaves the way you hope it will, then you can give it the reins. A new way to access targeting with AI is Smart campaigns. With this approach, you tell Google what you want to do and how much you’re willing to pay, and the AI does the rest. Smart campaigns include bidding, targeting, and even a little bit of messaging. Messaging: Figuring out your messaging with AI is at the top of Mike’s pyramid because it’s currently not very good at writing creative or persuasive copy. If you’re a copywriter or content creator, your chances of survival are much greater than if you’re focused on bidding or targeting. However, the AI is good at understanding meaning and the context of a page, and both Google and Facebook have this type of AI. (Facebook’s version is called DeepText.) Because this AI can understand the meaning, semantics, and nuance of all these words, it’s very good at messaging that has a limited scope. To illustrate, AI can do a great job of writing email subject lines. An AI called Phrasee claims it’s 98% certain to beat your best email subject line. The company did work for Virgin in the UK and saved them millions of dollars. Phrasee also recently raised $4 million, which means the company continues to do amazing stuff. 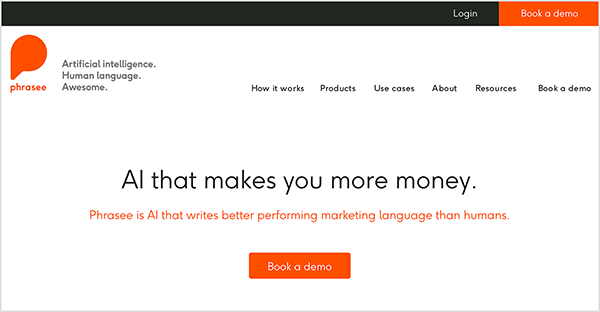 AI like Phrasee can handle a narrow task like email subject lines because you can provide thousands of examples instead of thousands of rules: subject lines you’ve already used, brand guidelines, examples of what you can and can’t say, and past results. From there, the AI can predict what your next email subject should be, test it for you, and tell you how its results compared to yours. Similarly, with the Facebook AI, you can give it a few headlines, choices for copy text, and calls to action, and the AI can test those in combination to find the winner. Google has a similar tool called responsive ads. You can choose from responsive display ads or responsive search ads. With Google, you provide about 15 headlines and 4 descriptions, and it figures out all of the combinations. 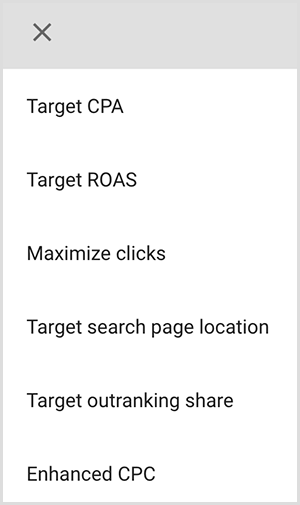 Google’s responsive ads also allow you to give the AI specific parameters. If you want your brand name to be the first headline, you can pin it to that position, and mix and match all of the others. Although parameters like this massively limit what the machine can do, this capability might protect your brand or give the marketing manager a sense of control. For messaging, Mike says the best use for AI is letting it work out the billions of combinations and which one works best. Also, he emphasizes that AI is more powerful than traditional A/B testing, where you run Ad A against Ad B for 28 days, see that Ad B is better, get rid of Ad A, and write a new one. To Google, A/B testing is marketing through averages, which is ridiculous. Google’s AI can determine the best ad for a specific user. To visualize this, the AI knows what Mike has been searching for recently and how he generally behaves on Google and other websites. However, the best ad for Mike will be different from the best ad for Julie. In other words, Google’s AI tries to find the best ad each time, and a human can’t compete with that. Because Google has access to such a massive trove of data, third-party services can’t compete with Google’s AI either. The third-party services get the same six signals that marketers do, whereas Google has about 70 million signals. Even if Google could give us those signals, they never would. That data gives Google too much of a competitive advantage. Instead, Mike says marketers need to try the Google AI. Give it your creative ideas based on what you know about your businesses or clients and let the AI do the rest. Listen to the show to hear Mike share more about how and why to test Google’s AI as more features continue to become available. 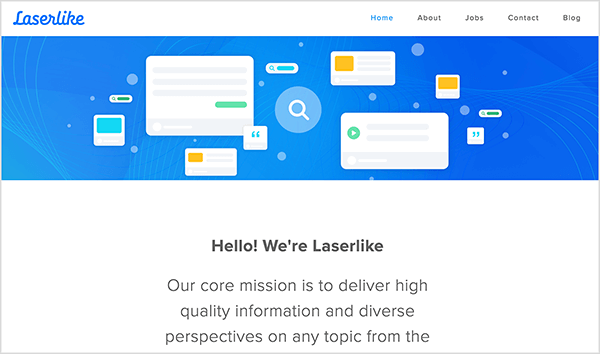 Laserlike is a cool tool for discovering and focusing on content you enjoy. Because you see less news via Facebook, Laserlike offers a great way to keep up on niche stories. After you install the app, you tell it what your interests are, such as digital marketing and business leadership. (You can also find categories unrelated to business, like news or celebrity gossip.) After the app starts to show you stories, you can train it further by indicating what you do or don’t like. Laserlike is also powering a Firefox plugin called Advance. The plugin says it’s not tracking you or looking at your sensitive data, but it does look at the sites you visit to learn what you like and then curate your interests to bring you interesting content. Similar tools include the Google News app and the Apple News app. Laserlike is free and available for iOS and Android. Listen to the show to learn more and let us know how Laserlike works for you. 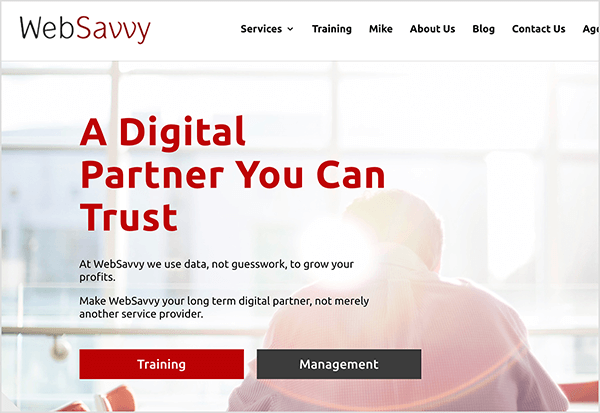 Learn more about Mike at the WebSavvy website. Discover free resources for listeners of this podcast. Read The Ultimate Guide to Google AdWords. Check out Mike’s courses on Google Display Network, AdWords, Google Data Studio, and more. 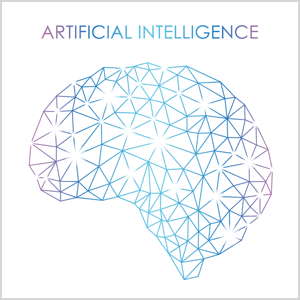 Find out more about AI and machine learning expert Andrew Ng. See how AI can help people shop via the Pinterest or Amazon apps or Google Lens (via the Google Photos app on iOS). Watch the demo of Google Duplex at Google IO 2018 and learn how journalists spent an afternoon testing the technology. Discover how Google’s AlphaGo beat the world champion at the game of Go and how AlphaGo Zero beat AlphaGo. Try Smart Bidding strategies such as Target Cost Per Acquisition or Target Return on Ad Spend. Compare traditional bidding with AI-based bidding using the Google drafts and experiments feature. Find out more about Google In-Market Audiences and Smart campaigns. Learn more about Facebook’s DeepText. Check out Phrasee, the work the company did for Virgin in the UK, and its recent $4 million fundraising effort. 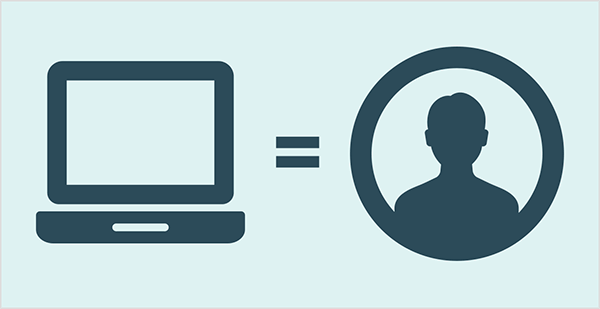 Test how responsive display ads or responsive search ads help with basic messaging. Curate a feed of stories that interest you with Laserlike for iOS and Android, the Advance plugin for Firefox, or similar tools like the Google News app and the Apple News app. What do you think? What are your thoughts on artificial intelligence? Please share your comments below.